I thought you might like the below picture from 1956. It’s a 5 megabyte (MB) drive weighing 2,000 lbs. To put that in perspective, the very lowest end iPhone 5S has a 16 gigabyte (GB) drive, about 3,200 times bigger, while weighing 0.25 lbs. 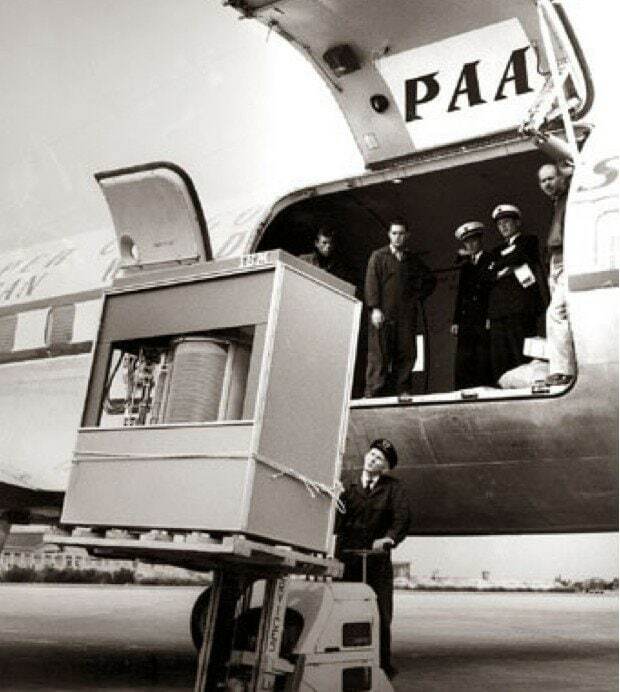 The below hard drive could hold exactly 1 iPhone picture today. It was available for rent at $3,200 per month. We’ve come a long way……..